The cast of Pretty Woman have been reunited for the first time in 25 years. 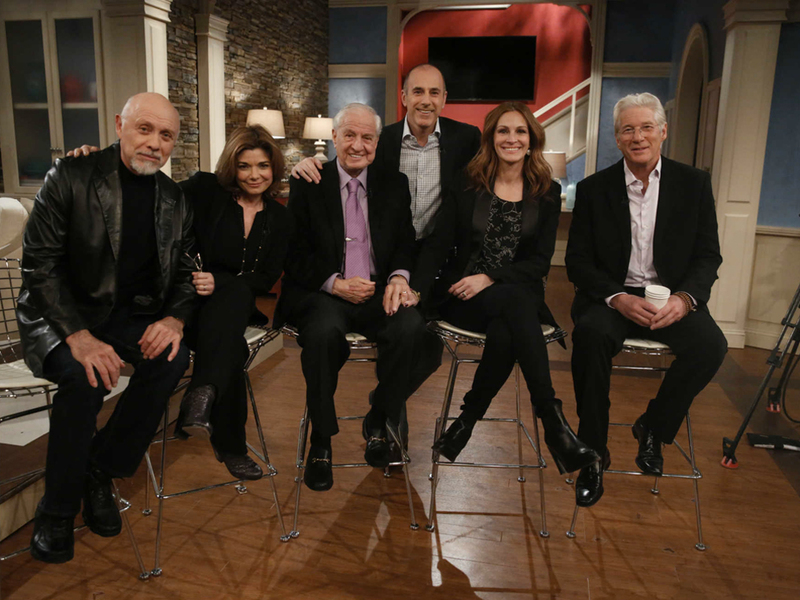 To celebrate the classic movie’s anniversary, the TODAY show over in the US managed to bag an exclusive interview with Julia Roberts, Richard Gere, Hector Elizondo (hotel manager Barney), Laura San Giacomo (Vivian’s best friend, Kit De Luca), and director Garry Marshall. 1. It wasn’t meant to be a rom-com. Pretty Woman was scripted as a dark tale called ‘3,000’ – a reference to the price Julia Robert’s character, Vivien, was to be paid. ‘Richard’s character threw my character out of the car, threw the money on top of her and drove away and the credits rolled,’ the actress said of the intended ending. 2. Richard Gere didn’t want the role. 3. Julia Roberts convinced Gere to take the part. 4. It was all about Julia Roberts, naturally. 5. Why wasn’t there a sequel? Got a craving to watch Pretty Woman now? ‘Course you do. Here are the 7 best moments from the brilliant film.